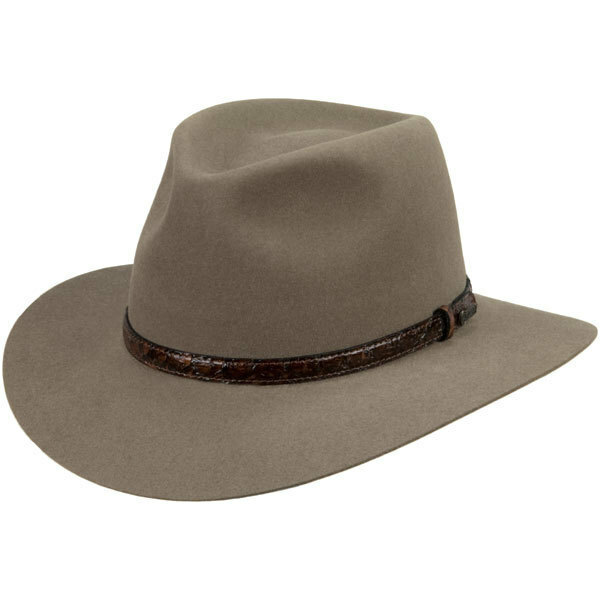 The Banjo Paterson from Akubra's Heritage Collection of outstanding hats is a great style suitable for town or country wear, named after the Australian poet and writer. The pre-creased crown has a wide center crease with side dents in the front. The crown is 4 inches high at the front, 4-1/2 inches at the sides. The brim is 2-3/4 inches wide. The striking hat band, 1/2 inch wide, is made from the skin of the Barramundi, one of Australia's fine food fishes found in the Condamine and other northern rivers of Australia. Premium quality pure fur felt, fully lined. Reeded roan leather sweatband. 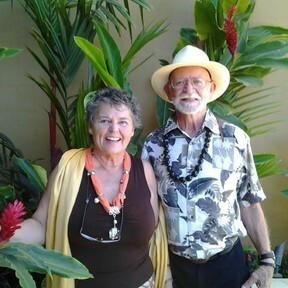 UPF rating 50+.